Latest Phase of Onondaga Commons Green Infrastructure Completed! 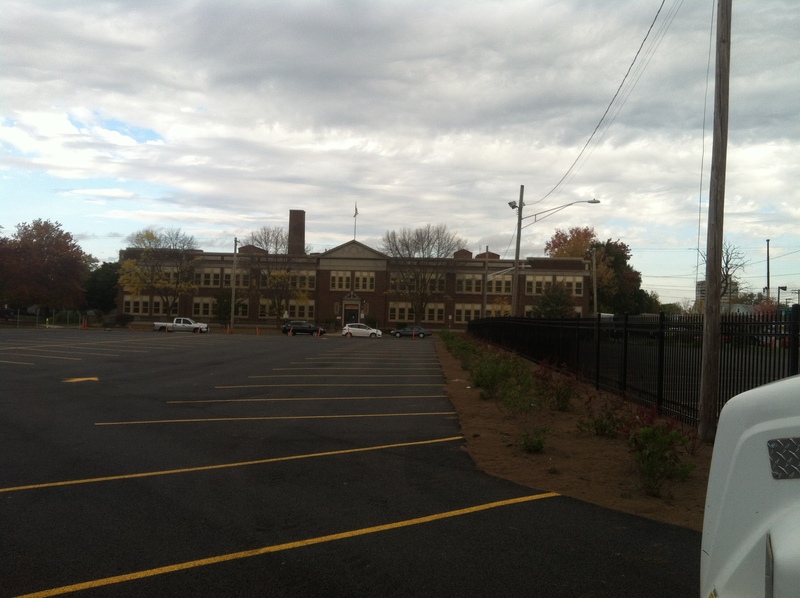 Construction of green infrastructure consisting of porous asphalt and added greenspace was completed on October 14, 2014 at 414-416 W. Onondaga St., Syracuse. The project is the latest project of the Onondaga Commons redevelopment and is funded by Onondaga County’s Save the Rain program. Natural Systems Engineering successfully collaborated with Short Enterprises on this phase as well as the preceding AAA, Lean-on-Me Day Care projects and the forthcoming Rural Metro green infrastructure project to be completed in 2015. This project will manage over 1 million gal of what would otherwise be stormwater runoff to the City of Syracuse combined sewer system annually. Porous asphalt lot and added greenspace at 414-416 W. Onondaga St. This entry was posted in Green Infrastructure, Porous pavement and tagged Added greenspace, Central New York, Combined sewer overflows, engineering, green infrastructure, green stormwater infrastructure, infiltration, New York, Onondaga County, permeable pavement, Porous Asphalt, porous pavement, Save the Rain, stormwater, Syracuse on October 14, 2014 by admin.